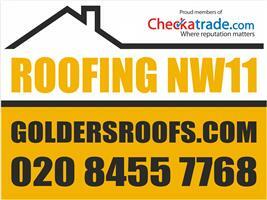 Golders Roofs Ltd - Roofer based in London, Greater London. We are traditional roofers based in North west London working in the local area of Golders Green and surrounding area we cover all aspects of roofing. We have a lot of experience in our team with traditional roofing methods and also new materials, we pride ourselves on offering quality work with excellent customer service.